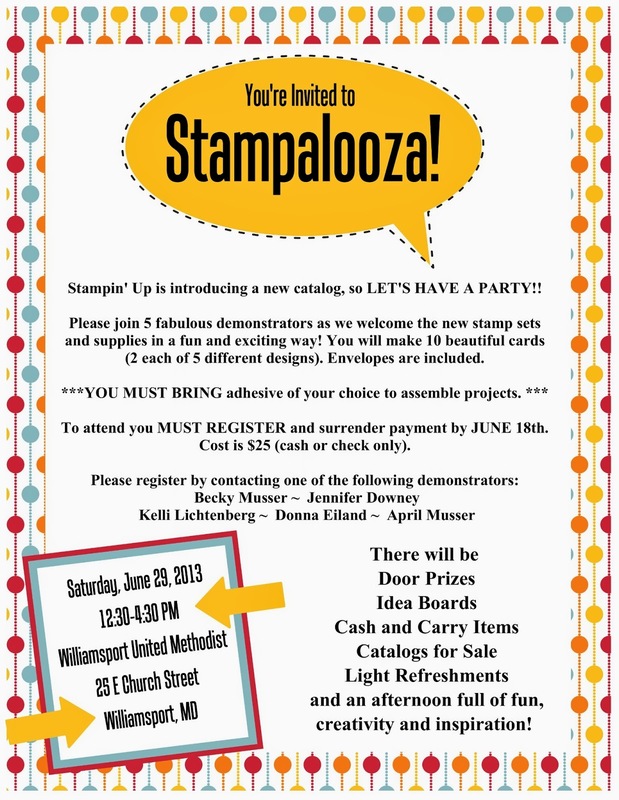 Stamping Lane: You're Invited to Stampalooza! I'm super excited for this event! It's going to be AWESOME! We are going to be using all new sets from the new catalog! Yippee! I hope you can join me! Happy Stamping!